Jessica Grogan, Ph.D., author of Encountering America: Humanistic Psychology, Sixties Culture, and the Shaping of the Modern Self (Harper Perennial), is a leading authority on American counterculture and psychology. In this age, expectations about careers, personal lives, and fulfillment run high and have insinuated themselves into the very fabric of American culture, becoming deeply rooted in our consciousness. In Encountering America, she reveals how these ideas first stormed the barricades of our culture through the humanistic psychology movement, an intellectual movement that ended up changing American culture in the 1960s and 1970s. Profiling an exciting group of psychologists, writers, and activists, including Abraham Maslow, Rollo May, and Timothy Leary, Grogan explains how these minds and the changing cultural atmosphere of the 1960s combined to create a widely influential movement. From the New Age culture of yoga and sensitivity training, to perennial American anxieties about wellness, identity, and purpose, Grogan insightfully illustrates how humanistic psychology continues to define the way we understand ourselves. In her presentations, Grogan speaks about a wide range of hot-button topics, including American psychotherapy, psychedelics, sixties culture, and the relationship of psychology to women's liberation and civil rights. She is a perfect speaker for universities, cultural organizations, substance abuse organizations, civil rights groups, and women's organizations. 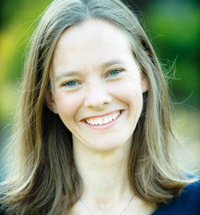 After majoring in psychology at Vassar College, Grogan performed her graduate work at the University of Texas and Texas State in American studies and professional counseling. She has taught courses on American history, sixties culture, and psychology at Southwestern University, the University of Texas, and Mount Holyoke College, and also regularly blogs for Psychology Today on the topics of psychology and American culture. Originally from Connecticut, Grogan now lives in Austin, Texas with her husband, writer Daniel Oppenheimer, and her two children, Jolie and Asa. "Spot-on reporting, an unbiased presentation, and an admirable attention to detail make this a valuable resource for psychologists and scholars of American counterculture movements." "Encountering America weaves together a tapestry and history of a humane ideal for living that continues to define our societal world view. It is a work of deep cultural understanding that breaks down complex issues in a coherent manner, bursting with oversized personalities and thought-provoking ideas." 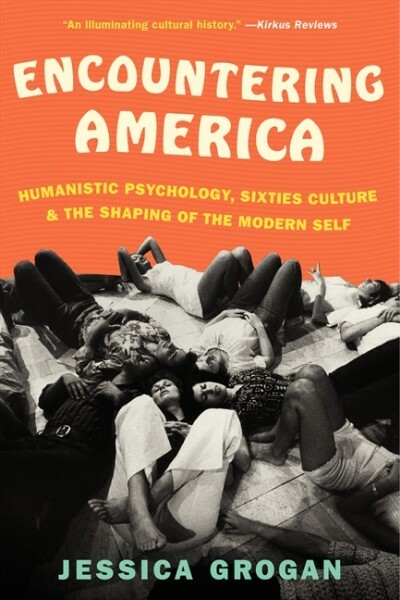 "Jessica Grogan reveals the seminal, but frequently overlooked, influence of the postwar humanistic psychology movement in creating what is sometimes described as today's "therapy culture," which includes employee retreats, seminars on sensitivity training, the proliferation of support groups and more ... Encountering America is an illuminating cultural history."